Maspalomas, the oldest seaside resort in Gran Canaria, is part of the town of San Bartolomé de Tirajana in the south of the island. Maspalomas is a paradise-like region located between sand dunes and the sea, on the edge of a lagoon and a palm tree oasis. Unfortunately, when the hotels and apartments were built, they did not really take the beauty of the landscape into consideration. Luckily, there has not been too much construction yet, and there are still a lot of green areas. Maspalomas is a clean,peaceful seaside resort popular with tourists from the north of Europe who wish to spend their holidays in the sun, at the beach and seaside in summer and in winter. 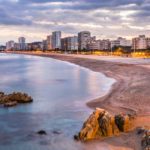 The famous neighbouring beach, Playa del Ingles, the pleasant town centre, the impressive dunes, the magnificent unspoilt surroundings and modern entertainment make a great blend for pleasant holidays in the Spanish Canary Islands. Maspalomas may be an island, but the airport, just 18.5 miles (30 km) away and an excellent public transport system make Maspalomas very easy to access. Look for your villa in Maspalomas here! Maspalomas is an incredible natural park with dunes. Just as in other places in the Canary Islands, the climate in Maspalomas is exceptionally pleasant in summer and in winter. 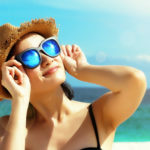 Average temperatures in summer are around 25 degrees Celsius, and in winter it is around 20 degrees. In Maspalomas, it does not often rain. Between April and August, it rains about once a month in Maspalomas. 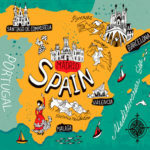 When the Spaniards conquered the Canary Islands in the 15th century, they used them particularly as a trading post. 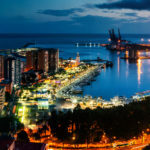 Gran Canaria developed as an important port for Spanish maritime commerce. 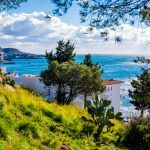 Thanks to innovation in navigation, Gran Canaria gradually became a tourist destination. Wealthy Europeans used to come here to spend several weeks or months in the sun. After the Second World War, tourism developed and Maspalomas was founded in 1964. 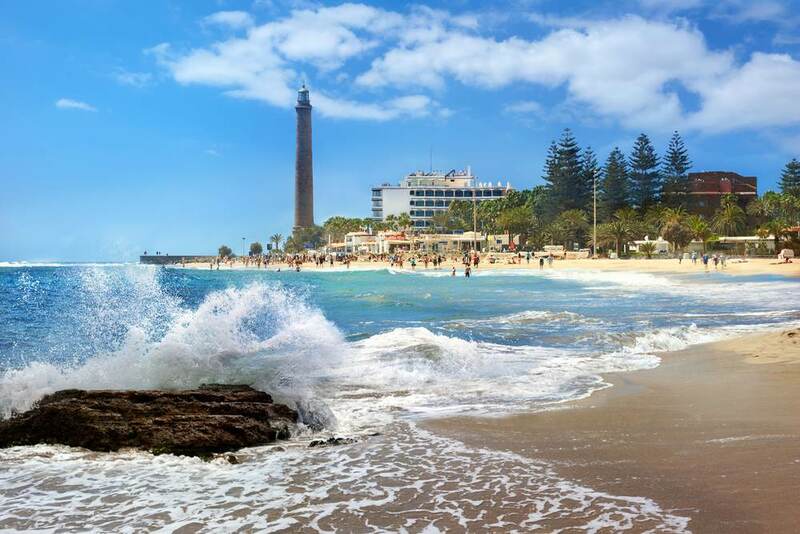 Thanks to its favourable climate and location in the south of the island and its idyllic landscape, Maspalomas quickly became one of the most popular holiday destinations in Gran Canaria and one of the most famous destinations in the Canary Islands. When you come to Maspalomas, you should not be expecting cultural places of interest. However, Maspalomas is a nature reserve fit forparadise. At the beach, just in front of the dunes of Maspalomas, you will see the El Farolighthouse, 196 ft (60 m) high, built in the 19th century in grey basalt stone. It took 28 years to build. At this time, the landscape in Maspalomas was desert-like and abandoned. A platform had to be erected with a quay to load and unload the construction material, which could only be brought by sea. 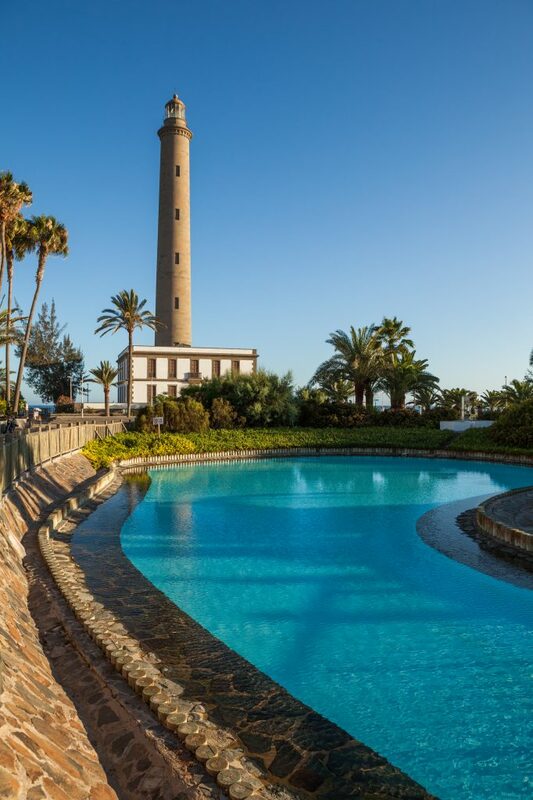 When it opened, Maspalomas lighthouse became the most important landmark for steamships on their way between Europe, Africa and America. Today, Maspalomas lighthouse is no longer alone. Behind it there is a pier that disappears far into the sea and from which fishermen cast their lines. In front of the lighthouse is the lighthouse wardens’ house, a square building in which exhibitions are often organised. From here you can walk down Faro Boulevard with its numerous restaurants and souvenir shops, the perfect place to go shopping, relax after a day at the beach and go to the restaurants along the Maspalomas coast. A short distance away from Maspalomas lighthouse, you will find a wooden bridge which leads you to Charca de Maspalomas, a magnificent lagoon at the mouth of the Barrancis river, where fresh water blends with sea water. On the banks between the reeds, you can admire the wealth of fauna and flora, including egrets, spoonbills, lizards and migrating birds which come to rest here during their journey from Europe to Africa. The spectacular 988 acres (400ha)ofsand dunes between Maspalomas and Playa del Ingles recall the Sahara, whose sand hills continuously reform under the influence of ocean winds. The dune area Las Dunas de Maspalomas is composed of organic sand, formed from coral and shells crushed and pulverised by grains of sand over millions of years. When the beach dried up, the grains of sand blew inland, where they formed sandhills up to 50 ft (15 m) high. This dune area is 3.7 miles (6 km) long and 1.2 miles (2 km) wide, and has been declared a protected areaonly to be accessed on foot or on camelback. During your walk across the dunes, you will almost think you are on the African continent. 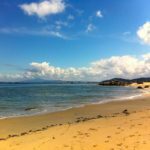 Not far from FaroBoulevard, you can enjoy the beautiful white beaches which stretch out from the dunes in the east, to the west of Maspalomas, separated by smaller beaches like Playa Faro, Playa de las Mujeres and Playa de las Meloneras. To the east of the lighthouse, the beach continues along the sand dunes as far as Playa del Inglès. Some isolated areas are for nudists. Surfers meet on the corner where Maspalomas joins Playa del Ingles. To the east of Maspalomas, just before the dunes, there is the largest golf course on the island. A game of golf in the subtropical sun and the peace of nature, surrounded by a magnificent course, is undoubtedly the dream of all golfers. Maspalomas is also an excellent destination for family holidays with children. The beaches are rather quiet and there is the largest aquatic park on the island. In Maspalomas Aqualand, holidaymakers of all ages can have fun all day on many attractions. About 6.2 miles (10 km) north of Playa del Ingles, you will find the Palomitos Park, a botanical and zoological park which is worth a visit. Not only can you see 50 different species of palm tree, but you will also discover dozens of species of cacti, orchids, butterflies and exotic birds like parrots. Because Maspalomas is only designed for tourism, our holiday homes are of exceptional quality.